What do Beats by Dre, DC Shoes, and Arc’teryx have in common? Combing case studies to arrive at a lifestyle brand marketing strategy that works. Building a lifestyle is simple in principle: develop a product / message that aligns with the values the people living that lifestyle and promote within the media those people consume. Start by determining the values of the people in the lifestyle. Having founders that participate in the lifestyle is ideal, but is not a requirement as long as they are in a position to learn about the people living the lifestyle. Then create a mission statement that focuses on removing barriers between people in the lifestyle and what they value. Your first product(s) should be designed for the very narrow audience. The broader market will be attracted to the features developed for the narrow market. Promote by visibly placing the product in the media the people of the lifestyle consume: endorsements, product placement, reviews, and features. Advertising is only a supplement and not a replacement. The broader market will find the brand eventually. Take opportunities to get in sales channels that reach different markets than your targeting when they come calling. Always stay focused on the core or risk loosing your credibility. This is the Part 5 of our Lifestyle Brand Series where we explore how brands become associated with aspirational lifestyles. Read Part 1 to understand what is a lifestyle brand, Part 2 to understand Beats by Dre., Part 3 to understand DC Shoes, and Part 4 to understand Arc’teryx. A lifestyle brand is a company that is closely associated with a lifestyle some people live while many others aspire to. 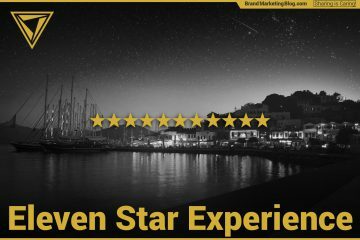 It is a desirable place for a brand because there is an enthusiastic core group of customers who pay a premium for and evangelize the products and others who will pay a premium just to feel part of the lifestyle that the first group lives. We will get into a much more technical, business-y reasons for the strategic value of a lifestyle brand next week, but assuming you buy in, how do you get there? The biggest question we had when we did our case studies of Beats by Dre, DC Shoes and Arc’teryx was: how do you build your brand so that you are associated with a lifestyle before you are associated with that lifestyle? We found our answer: build a product and a message that completely aligns with the values of the people living the lifestyle and promote within the media those people consume. Do not worry about the broader market; they will eventually find you eventually. Like everything desirable in life, that is super simple in concept but very challenging to execute. But we are here to help, so we have combined our case studies into as close to an action plan as we can. #1 Determine the values of the people in the lifestyle. What brings people together in these lifestyles are strong values. Values are what is important to a person, whether it be principles, beliefs, behaviors or products. People enjoy hanging out with people of similar values and associating themselves with groups of those people. Values are not personality traits. People can have very different personalities and still share values. I participated in a ski club that had buses running every weekend to different ski hills; these buses transported people ranging from the timidest person you could find to others who would do drunken somersaults down the aisle of the bus. But we all loved skiing, and valued exhilaration, scenery, and having fun even in winter. I could pick up a conversation with any of them. To serve a lifestyle customer, you have to understand what they value. This is easiest when you are part of your own customer group and thus have the same values, but it is not required. But you need to be in a position where you can interact with your customer group and empathize with them by imagining what the world is like from their perspective. Arc’teryx founders were part of the outdoor adventurer lifestyle, but only some of the founders Beats and DC Shoes were in the lifestyles associated with their brands. They had other interests that put them in contact with people from the lifestyles; Jimmy Iovine of Beats was a music producer and executive and Ken Block was a snowboarder. So, while being part of the lifestyle is recommended, having co-founders or just talking to people in the lifestyle can help you bring their values into the company. #2 Align the brand’s values with your customers through a strong mission statement. The next step is drafting a mission statement and make sure it aligns with the values you have identified in the previous step. The mission statement should be a how the company is going to bridge a gap between the customers and what they value. Something is getting in the way between the people of your lifestyle, and you are going to remove it. The mission statement needs to have a unique point of view. Something that not all people are going to agree with, but some people are going to agree with strongly. The mission statement should not mention revenue, profit, share price, stakeholders, etc. Business is a vehicle to advance the mission, not the other way around. The mission should also be about the customer, society, and the world. Talking about the founders or employees in the mission statement is navel-gazing of the grossest order; the mission should be something you hope gets achieved whether you are a part or not. 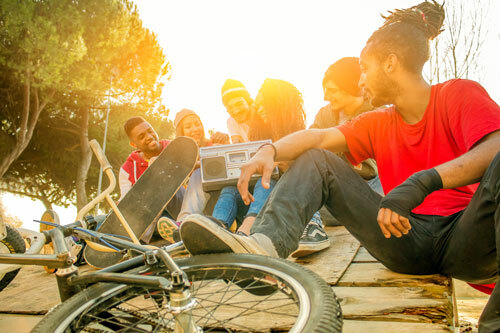 Beats identified that young people value music and connections with music artists, but the poor sound quality was keeping them from fully realizing that. Their mission statement is about removing that barrier. Arc’teryx identified that outdoor adventurers were not able to fully concentrate on their experiences because their gear would fail and take their attention. Their mission statement reflects removing these annoyances so people can focus on their activity. ________________(brand) are going to ____________________(remove barrier) through __________________(product) so people can ____________________(customer values). 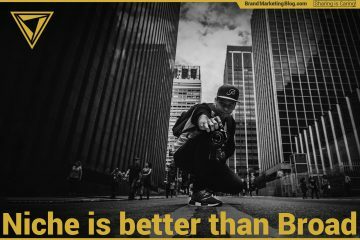 BMB is going to give people knowledge and skills in brand marketing through content so people can compete in the modern marketplace and build brands they are proud of. DC is an incubator for the new and never been done. DC is self-made and self-making. DC is a collective effort. DC is fearless. DC is F*CK YEAH. To create equipment that enables a person to be immersed in the moment of doing, regardless of external conditions. #3 Design products for one and only one group: people living your lifestyle. “You can please some of the people all of the time, you can please all of the people some of the time, but you can’t please all of the people all of the time” – John Lydgate. 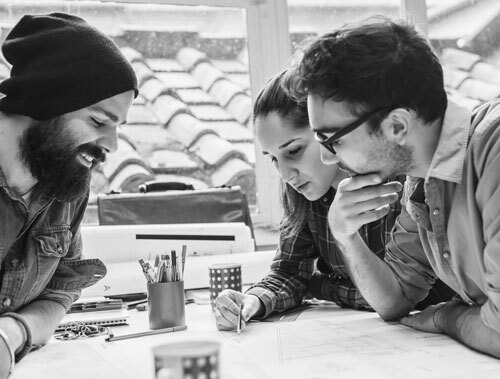 You and your investors may be looking to maximize the total addressable market, and designing for the specific needs is going to cut that down right off the top. But addressing a niche group of people may actually open you up to more sales from more customers in the long run. I know it sounds counter-intuitive. 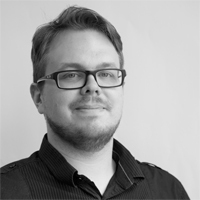 Designing a product for everyone means that it is appealing to no one. If you design a product that has a little appeal to a lot of people, no one buys it because the motivation to purchase isn’t high enough for anyone to purchase. If you design a product that has a lot of appeal for a select set people, then those people purchase it and love it, and others take notice of the enthusiasm and will buy the product as well. Even Facebook, which is the kind of broad appeal, was originally developed for college students. That is where the name “Facebook” comes from; It was a modernization of their fraternity and sorority face books. This seems especially effective when designing apparel, but I also see it being true for apps, cars, furniture, etc. For example, I have always wanted a Nissan Xterra but have shied away from getting one because of concerns with its gas mileage. I am not an outdoorsy person, nor do I need a lot of cargo space, but it clearly is designed with such a clear point of view that it has always captured my imagination. Beats by Dre, DC Shoes and Arc’teryx found success through developing a product for only one type of person in mind. In all of these cases, their core market loved it, and that gave them their beachhead in the market. There really is no other route in. Headphones developed and tuned music artists and producers. The worlds first skate shoe. 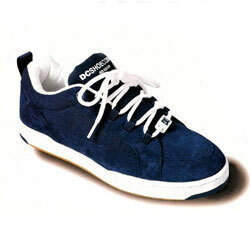 Athletic shoe materials on a flat bottom sneaker. 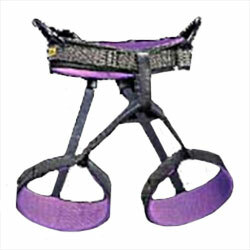 Heat laminated rock climbing harness. #4 Promote your product in the culture, not adjacent to the culture. You have to get your products into the media people of your lifestyle are consuming. And I don’t mean just taking ads out in the media; that is not in, that is adjacent. Being in the media means product placement, features, reviews, and visible endorsements. The products aren’t just being advertised beside something that is attracting people to view, listen, or read. 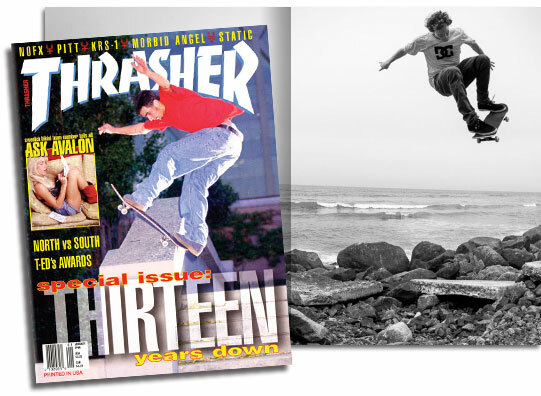 That iconic DC Shoes t-shirt was easy to find in the skater magazines of the 90s. Anyone can take out an ad, but not everyone has the follow through to develop the connections, negotiate the deals and work the channels well enough to get this done. It is not impossible for anyone of any personality type or social status; it is just challenging and all-consuming. Beats and DC had to bring artists and athletes in as partners. Jimmy Iovine would lay out the prototypes of Beats headphones in a row in his office at Interscope records and have the artists choose what they liked and give feedback. These artists felt part of the process, and eventually wore the final headphones in their music videos. DC had four key skateboarders as exclusive endorsements and gave them shares in the company making them real partners. Lifestyle brands grow when people see other people in their community they respect using and wearing the products. Beats was in music videos, and DC Shoes were in skate videos and skate magazines. Arc’teryx now has brand ambassadors, but just got into the culture through placement in the right stores, glowing product reviews and word of mouth. 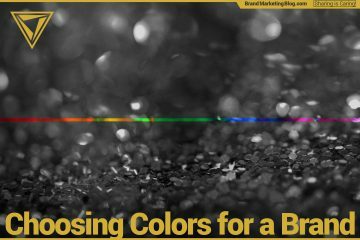 It’s not that advertising will not work; it is just far less effective than being directly in the culture. All three companies took out ads, but this was a tertiary tactic. The core tactic is placement. All three of these brands now make their own branded content, mainly videos. That comes later with greater scale. If you can do your own videos on a start-up budget, all power to you. #5 | Let your market broaden itself out. The appeal of lifestyle brands extends beyond the core market; that is the magic of these brands. DC Shoes and Beats are household names because the product features that their core customers love are like by a much larger audience. This effect can make a big company out of a niche. “There is riches in niches,” John Henry, founder of the startup accelerator Cofound Harlem. Arc’teryx found that their products that were developed with firm values for the outdoor enthusiast market also had features that fit for the high-end city dweller and military personnel. 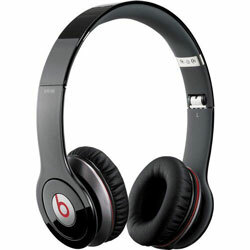 Beats found that the noise canceling and fashion aspects they had developed into the headphones with the recording artists were also appealing to sports stars. Even DC found people wearing a sneaker that was prepared with cushioning technology from athletic shoes specifically for skateboarders just for comfort and day to day use. It is hard to say whether you should seek a broader audience or a broader audience will seek you. DC Shoes has a product, messaging and distribution strategy for “core,” “participant” and “inspired” people of the action sports lifestyle. But the biggest criticism DC is that they are first thinking of and serving the “inspired” category and have left the “core” behind. It is an opportunity their competitors have been jumping on, particularly Vans. The successful lifestyle brands always are working for their core customers. If people come and buy their products for other purposes, they won’t say no. They will create special versions of their product for other markets. Successful lifestyle brand will say yes if they have opportunities to sell in retailers that have customers outside their core market. But they always stay focused on the core; it is the source of their credibility with that broader audience. People inspired by action sports. Now go build your own lifestyle brand. None of the previous steps should seem easy, but they are not impossible. I want to see you create the next household lifestyle brand. Start, and come back and tell us how you make out. We are starting our own lifestyle brand and get into the nitty-gritty details like logo design and packaging. If we can do it, you can too! Read how we used these steps to develop our lifestyle brand strategy.